Vanbreda is a Belgium based health insurer with over 50 years of experience in the market. In 2010 Vanbreda was acquired by the US based health insurance company CIGNA. 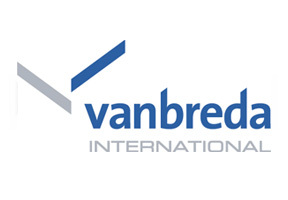 Nevertheless, Vanbreda continues its operations under its original name and the original CEO. Vanbreda is known for providing custom fit health insurance plans to its wide customer base situated in over 190 countries. Over 10000 healthcare professionals have been carefully selected to for Vanbreda's wide network of medical and healthcare facilities around the world. With its offices strategically located in countries of Europe, Asia, Africa Latin America and the UAE, Vanbreda can guarantee the highest levels of services to its Russia health insurance policy holders. The insurance company operates a 24 hour multilingual medical emergency hotline and claims assistance service. If you would like to get more information about Vanbreda in Russia, please fill in the query form at the top of this page. Alternatively you may contact us in order to seek expert advice directly from our knowledgeable Russia Health Insurance consultants.